At Go Dental in Calgary, we provide sport and mouth guards to protect our patients from injuries such as chipped or broken teeth and damage to oral tissue. Sports accidents are common in high contact sports such as hockey, baseball, rugby, soccer or lacrosse. It is not uncommon to hear of athletes who have sustained serious injuries that could have been prevented or minimized by using proper mouth protection in the form of a custom made mouth guard. At Go Dental, we offer sports and mouth guards that provide not only protection but a custom fit. Custom fit mouth guards are composed of materials that provide absorption from impact. Mouth guards can do more than protect teeth, they can also lessen the force to the head and skull. Clean your mouth guard with cool, soapy water after each use. At Go Dental, we can also inspect your mouth guard for holes and tears, as well as check the fit during your regular cleaning or dental exam. Contact us today to schedule a mouth guard fitting! We're open 7 days a week for your convenience. It's important to me that my patients have all the knowledge and tools they need to keep their smiles healthy. To that end, I make sure all my patients have the opportunity to ask questions during their appointments! We provide accessible parking and are open 7 days a week. Check out answers to some of your most frequently asked questions! 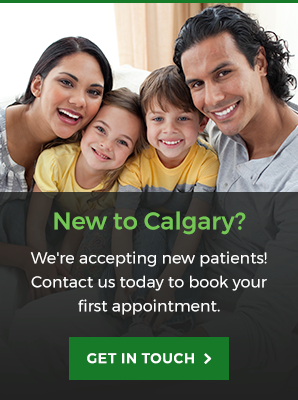 Learn more about your first dental visit at Go Dental. Meet our fantastic team of dedicated and caring dental professionals. Interested in any of our dental services? Contact us today! We're open 7 days a week for your convenience.